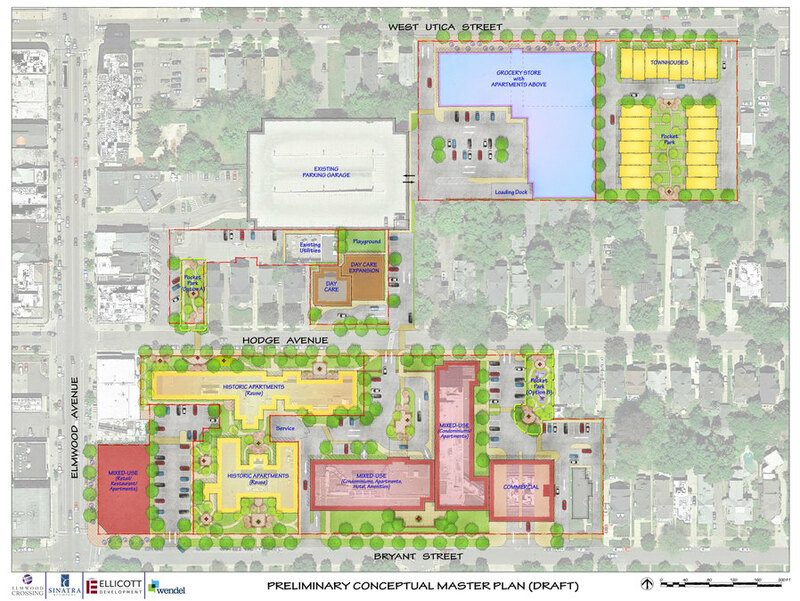 New plans for the former site of Women and Children's Hospital in the Elmwood Village call for a grocery store, a hotel, a day care center and more than 300 residential units. 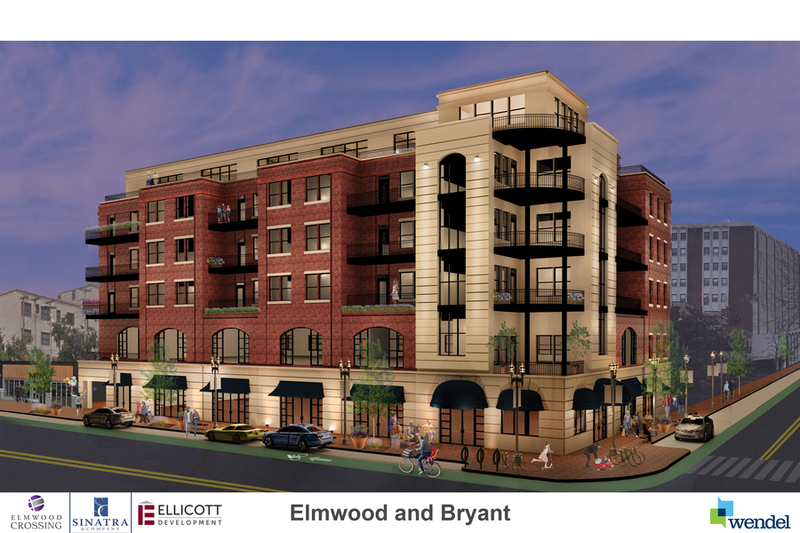 Developers Sinatra and Company and Ellicott Development shared their vision for the $100 million "Elmwood Crossing" project during a community meeting on Wednesday night. Here is a first look at the 8 acre site plan for "Elmwood Crossing" that developers say "will strive to identify and balance recognized community assets and values with achievable, progressive planning." Along with a hotel and grocery store the plans also call for pedestrian pathways and a "pocket park". A restaurant and retail spaces are also included along with a day care center pictured below. 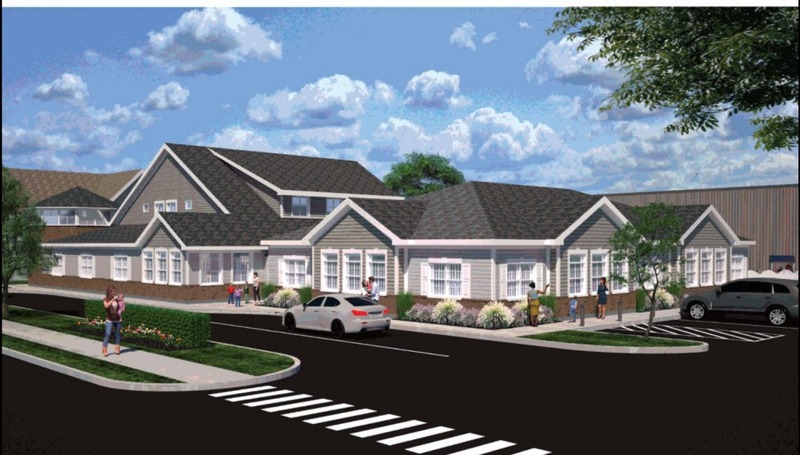 The proposed plans also include residential components of approximately 22 town homes, 45 upper floor condominiums and 240 apartments throughout the campus. Developers say there will be market-rate, historic, and affordable options. Here is a look at the proposed six-story mixed use building for the corner of Elmwood Avenue and Bryant Street. Developers say "Elmwood Crossing' will adaptively reuse the bulk of existing structures currently on the 8 acre campus. The proposed plans call for demolition of less than 5% of the overall site. With municipal approvals construction on parts of the "Elmwood Crossing" project will commence in summer of 2018.